Forget the idea that counting sheep will help you go to sleep because this Microgaming online slot is all about winning huge bags of money. By spinning the five reels and lining up everything from fruit to sheep, you could be counting your winnings regardless of your skill level or your experience spinning online. As you'll see when you read our Bar Bar Black Sheep slot review, simplicity and fun are the name of the game when you ante-up. Sure, there are plenty of special symbols and bonuses for you to sink your teeth into, but the basic nature of the game and its cartoon styling make it one that everyone can enjoy! 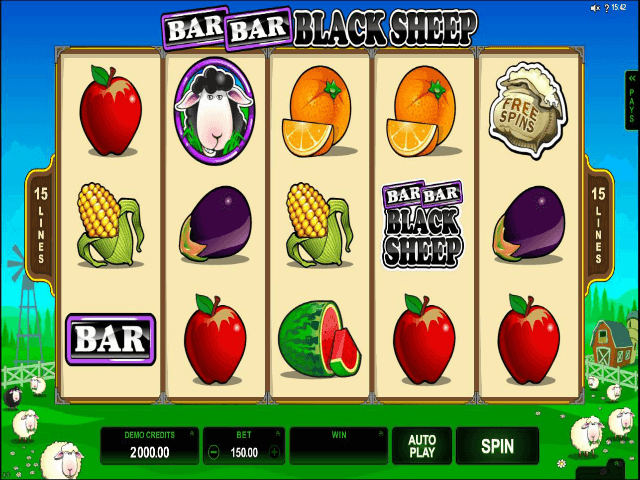 Play Bar Bar Black Sheep Slot Demo for Free! Play Bar Bar Black Sheep for Real Money! 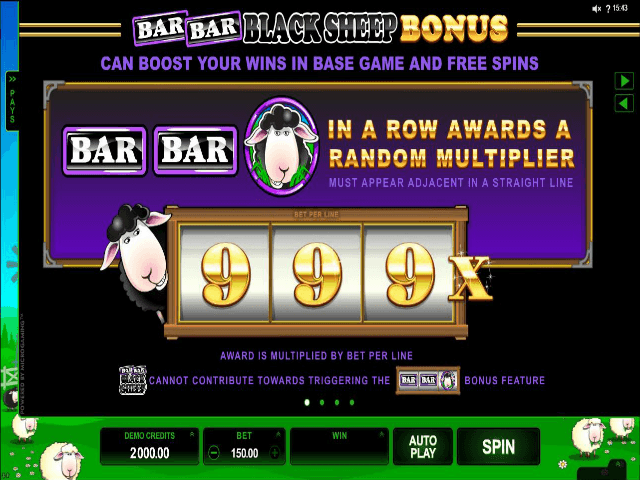 Bar Bar Black Sheep isn't an online slot game that relies on tons of win lines, endless animations and a host of interactive elements to make it exciting. Much like the nursery rhyme it uses as inspiration, this slot is all about simple fun. When you first ante-up, you won't be bombard with ways to win. Instead, what you will get is 15 win lines, a cartoon-style background and clearly delineated reels. 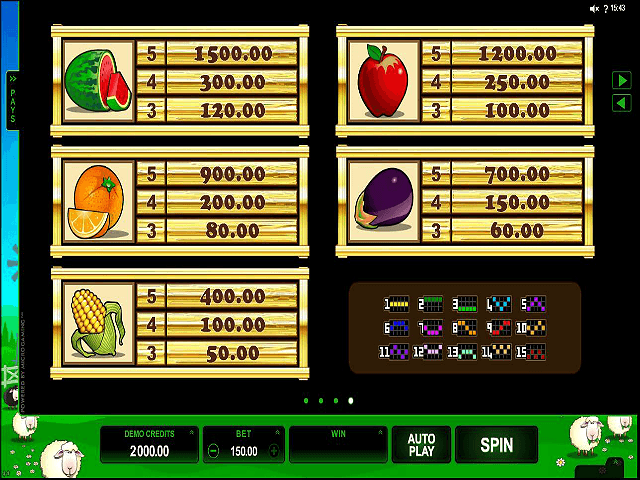 On top of all this, you'll have a combination of classic fruit machine symbols and icons that complement the farm theme. OK, so the styling might not be to everyone's taste, but the quirky look (which in some respects is fairly childlike) does make this a highly accessible slot for newbies. Because you won't be bamboozled by animations and options the moment you start to spin, you can focus your efforts on turning the reels into prizes. To wake up the farmyard's finest creatures and watch them plough through a field of riches, the first thing you need to do is set your bets. In line with this game's air of simplicity, there is only one variable you need to adjust. 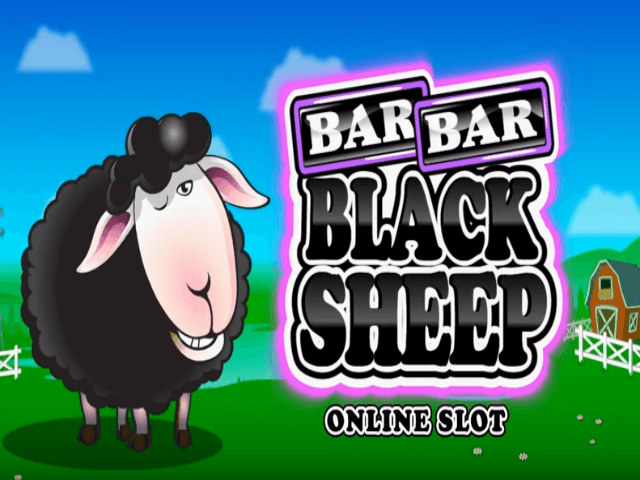 Unlike some other Microgaming online slots that force you to tinker with coins, coin sizes, lines and everything else in between, Bar Bar Black Sheep slots simply ask that you move the "bet" 0.15 credits (i.e. 0.01 credits per win line) to 150 credits. Once you've set your bets, the payouts start to roll in when you match three or more symbols. At the lowest stakes, the smallest prize you'll win is 0.06 credits for three aubergines, while the largest payout (20 credits) will be unlocked when you hit five Bar Bar Black Sheep symbols. At the top end of the spectrum, the above combinations will reward you with 60 and 20,000 credits, respectively. Of course, you can't have an online slot without throwing in a few special features and bonuses. In this game, free spins and multipliers are the way to win some serious cash. Firstly, if you can find three, four or five free spin symbols (also the scatter), you'll get 10, 15 or 20 free spins. Beyond that bonus, this quirky slot will give you a random multiplier that could be worth as much as 999x your stake if you can roll in two bar symbols and a black sheep. Yes, that's right, by making a combination that matches the name of this slot game, you could win one of the largest multipliers in the industry. 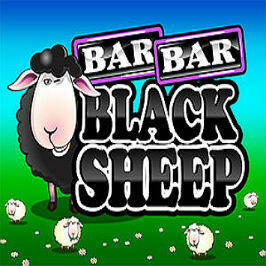 If you're in the market for an online slot that's as catchy as the classic nursery rhyme, we'd suggest giving Bar Bar Black Sheep a spin! Share this Bar Bar Black Sheep Review today! If you like Bar Bar Black Sheep, you'll love these slot titles too!